Three terpsichoreans are called together. What is the desire that your rolled back eyes see? An impossible dream--- a model of a fairyland--- which presses me to run. 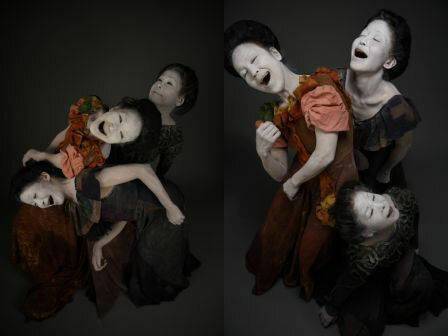 CopyRight(C) Butoh-sha Tenkei All Right Reserved.